Presented in the evenings on Opening Weekend - June 9, 10 / outdoors between El Museo Cultural and the Railroad tracks. 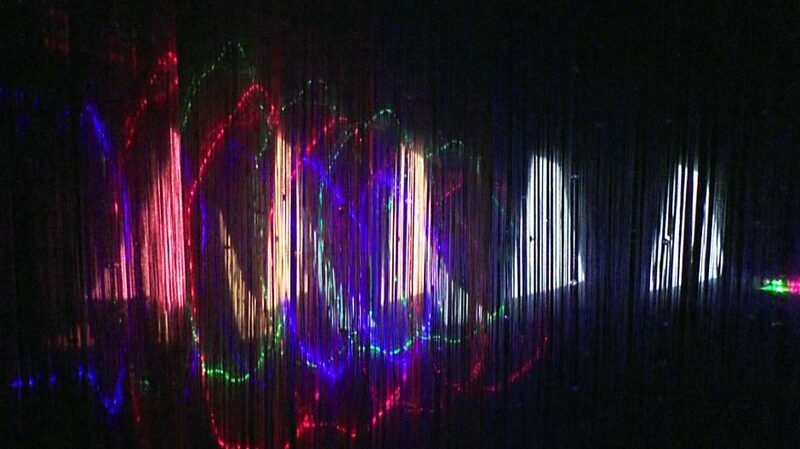 The installation “Aurorean” addresses the fractal relationship between light, space, and time. Geometric forms of light combine with analog fractal elements forging a multidimensional vision of material light. Holographic elements within the installation reveal a fraction within the enigma of light.